A welcome rain returned to the east side overnight and continues this morning. 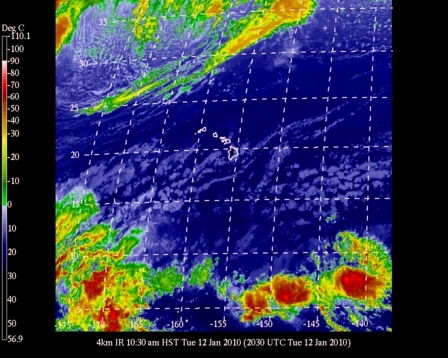 According to the synoptic discussion posted on the UH Meteorology website, winward Big Island locations including the Puna district will experience a bit of a cold front which will move through tomorrow and bring light trades through the weekend with more possible showers. Even though vog still remains due to alternate wind patterns, it looks to shift over the next day. I’m personally glad our two week drought has come to an end and our water catchment tanks should fill nicely! To read more, go to the website below and click on Hawaii Weather on the left column. Then select the Synoptic Discussion and Guidance from the drop down box.